Just some thumbnails as references. If you think that we should focus on the original game only, I'll close this proyect for the time being. One thing, though. I'm not sure if those machines were made after those tanks you've brought us here. But I've noticed the resemblance. I think you should draw some new machines, touchin' old ones is not a good idea, at least not for now. Sure, try remakin' them, I didn't say you can't, but I'd rather suggest drawing something else. For example, show me what do you think of the Paladin! You know, my own suggestion for a machine. It belongs to Knights. Also it would be a good thing to see more flying units. Not a horde of'em, but, you know, a few. I'd say touching up old ones would probably be a good idea since we don't really need concepts to put the old machines in, but if we want to make the game look better afterward, then concepts of machines would have to be re-done because some of the machines are such simple design that it's not very clear where the original artists were going. Initial set of sketches (I couldn't scan them because the sketchbook is too big, sorry). So you want that fat Goliath to become an armed kind of "APC"? "STOP! I can't even hit you!" Goliath dies. I think it would be a nice addition, as Goliath'll still retain its main role - artillery support, while being able to defend itself with a few Grunts (or maybe some different units, but not too big) when caught off-guard or flanked. Turrets being placed higher is a nice thing too, but don't make them able to rotate everywhere. Sure, aimin' a bit higher or aimin' somewhere else is good, but making it able to rotate everywhere will make it overpowered as hell. I think you know that, though. Bullets bouncin' off its armor? Pretty good. Higher defense for this already vulnerable unit might be a good thing. But making it bounce only a few bullets would be much better in my opinion. You know that, too, so let's get going. Oh, also, making energy bullets bounce would be great too! Turrets can't turn fast enough. I like that, it'll be slower than before, so Goliath might be something like a buster (kills slow units with ease, but can't hit fast ones). Got it. Impractical apart from offensive tactics. That's why it's kinda sorta an APC? Yeah, I got it. Flanks are vulnerable because of lack of aim (cannot respond to enemy fire). Yup, it turns slower, so flankin' is not an option. Got it. And now, the main thing: Goliath as a transporter! Of course, that's a good idea. I love it. Before it was so defenseless against speedy machines, but now it can get rid of some small fast units with ease (if it deploys these Grunts in time). You also want to make it a wall, so enemy units won't be able to hit smaller units. I like that, too, especially because of that "Armor bouncing bullets away" thing. I guess you want it to make it extremely strong, providing cover with its extremely big sides (fat), but vulnerable to enemy fire if they fire at its back (eventually front, something like a payoff). Great. Now, the elevator thing. 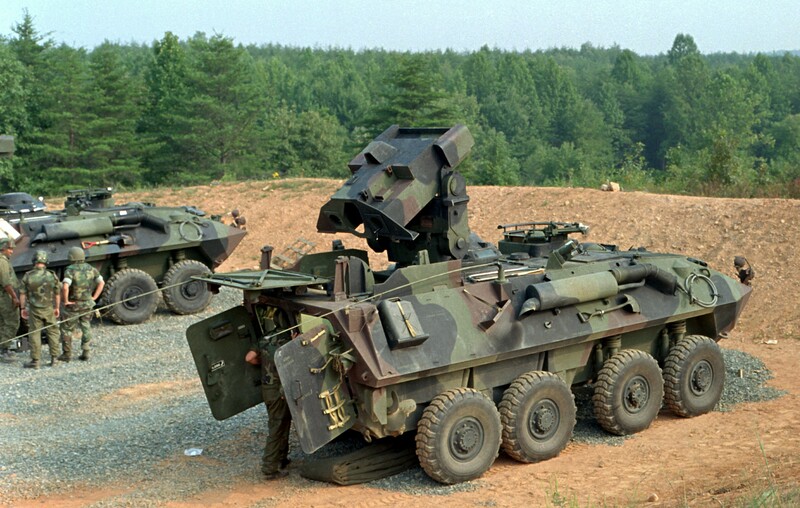 APCs use teleportation to transport machines. You want it to simply drop the units so it doesn't have to wait for the teleportation to commence. Why not? All APCs use teleportation. Goliath might be an exception. So, summary: I like that idea, seems like you thought a lot about it, even if the unit you're talking about feels a bit overpowered (armor, not missiles). But buffing its armor and decreasing its speed seems like a fair trade! Also, make Goliath work underwater (it can simply go underwater without 'sploding) for surprise attacks! @Pisarz I love it. That's really awesome! Dunno why you'd want a siege unit to become a super slow transporter unit. The Goliath should probably be used like a Siege Tank in Starcraft. Load it into an APC and drop it around the enemy base. Shoot once, load up again and off you go. That way you force the enemy to respond to the aggression, while staying safe because of the APC movement speed. I think increasing the missle speed is optimization enough without losing the initial intended use.